When it comes to moving, there’s a lot of questions to be answered; is it better to hire a mover or rent a truck? How will we protect our belongings during transit? What should we get rid of before moving? Pulling up roots and moving to a completely new state comes with even more questions; what are the state taxes? Will I find employment? What’s the cost of living? How’s the housing market? Whether your reason for moving to a new state is for a job, school, or just a change of scenery, there are a few things to consider before you break out the boxes and packaging tape. The first thing you’ll want to do is navigate the housing market. New Hampshire housing has a great selection of first-time homebuyer programs and they range from 3% to 3.5% down; some of them even have no private mortgage insurance. New Hampshire had the region’s highest percentage growth in real estate in sales in 2015. Single family home sales were up 11.6% while condominium sales rose by 15%. The median sales price for a single family home also rose 5% over the previous year to $240,000. In the New Hampshire sellers’ market, multiple offers can come in within 48 hours of a listing a property, so realtors say it’s crucial for buyers to obtain a prequalification letter. To get this letter, it takes two pay stubs, two years of tax returns (including W-2’s) and two months of bank statements. 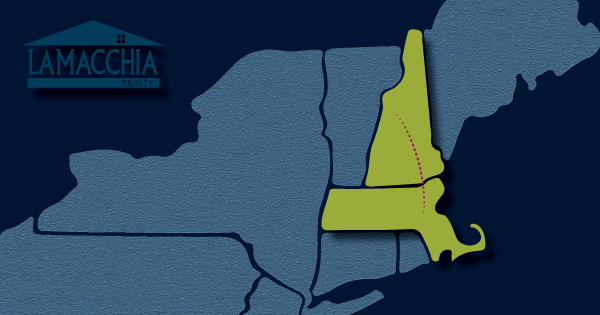 When moving from Massachusetts to New Hampshire, make sure to fully understand the housing market and mortgages. while New Hampshire is one of the five states that does not have sales tax. Before moving from Massachusetts to New Hampshire, make sure to know the difference in taxes and how they will affect your lifestyle. If you’re bringing your Massachusetts car to New Hampshire with you, you’ll need to have it registered with the New Hampshire DMV within 60 days of becoming a resident. To do this, you’ll have to present your certificate of title and proof of your New Hampshire residency to the DMV in person. You’ll also need to do the same for your driver’s license. The New Hampshire DMV takes their inspections seriously, and makes you undergo a safety inspection and an emissions inspection if your car is a 1996 model or newer. If you were previously registered as an organ donor in Massachusetts, you’ll need to re-register in New Hampshire. The same goes for registering to vote. Each state keeps its own registry so even if you were registered to vote in Massachusetts, you’ll still need to register again in New Hampshire. Before moving, be sure to add registering to your to do list! • The cost of living in NH is 15% less than MA. • The cost of groceries in NH is 14% less than MA. • The cost of housing in NH is 25% less than MA. • The cost of utilities in NH is 10% less than MA. • The cost of transportation in NH is 6% less than MA. • The cost of health care in NH is 4% less than MA.